I do not plan on Empties posts every month but this past month left me with a TON! I decided to do a post because my darling Affie is getting into my “empties box” and having fun with her new toys. I hope you find these posts interesting! One person’s trash is another person’s treasure; sometimes! I hope my reviews help you with products you’re on the fence about or you, just like me, find Empties posts fascinating! There is so much hype around this brand that I generally steer clear. It helps there are no Jo Malone counters anywhere near me. As you all know, I am super sensitive to scent and I am VERY picky about the candles I burn. However, in March, I grew tired of my winter-themed Yankee Candle candles so I went on the hunt for a new one. One day, I was in the Nordstrom beauty section and nestled in the back was a new counter dedicated to Tom Ford and Jo Malone. I rushed over and started opening every single candle. I wanted something new, something interesting, something I had never smelled before. The Dark Amber & Ginger Lily was just that. The scent is intoxicating. It is spicy and intriguing. Interestingly, the amber mentioned in the name is not the main scent. I looked at the description listed on the website to pick apart the other smells and I never thought the included scents would work well together. Cardamom, black orchid and ginger are competing scents on their own but the amber grounds and unifies them. This candle is not for the faint of heart. It is strong and bold. Now on to the product itself! Descriptions boast 45 hours of burn time. This is not true. I got no more than 30 hours, if that. I maybe got six uses out of the candle and I general burn it for 2-5 hours. I am hugely disappointed because for an expensive, revered brand I expect accurate descriptions and more use. The candles in the black jars are marketed as “intense” and cost $10 extra. I thought this meant the fragrance was strong, both unlit and burning, because of the more concentrated essential oils in the wax. Unlit the smell is very strong. This is not the case while the candle burns. The fragrance only fills my room if I keep my door closed and it does not waft very far. (For comparison, when I burn my Yankee Candle candles, I smell the fragrance throughout the basement and even at the top of the stairs). Upon further speculation, maybe the “intense” applies to the boldness of the scent? It is strong, woodsy, spicy and is more pronounced than any of the other scents. Whatever the case, the company should make it more clear. Overall, it was not what I expected. That being said, I am glad I tried the candle and the scent. It was interesting and what I was looking for at the time. In my opinion, it is not worth the price for the strength of the fragrance or how long the product lasts. I bought the “English Pear & Freesia” about a week after I purchased the first candle. I could not get this scent out of my head. It was sweet, floral and reminded me of Spring. Exactly how our garden smelled when I was young. At the time, when we were still in perpetual winter, I was craving it. The scent was not as strong as the Dark Amber & Ginger Lily but I prefer that with floral scents. I ran into the same problems as the Dark Amber & Ginger Lily candle. I did not get anywhere near 45 hours of burn time. I do not know if this is false advertising or I am doing something differently but how can I lose almost 15 hours of burn time?? I know I bashed into the brand’s candles in the above review so I will talk about the good things here. The “English Pear & Freesia” scent wafts better and fills the hallway outside my bedroom. These candles burn exceptionally well. Candles aerate and lose their potency the longer they are in sunlight and exposed to oxygen. I did not have this problem with the Jo Malone candles. Don’t you hate it when candles burn straight down and the wax does not melt evenly? The wax remained solid and burned evenly to the edge of the jar. While I did not get a great amount of use out of the product at least I did not waste any of it! I am torn on whether I will re-purchase this candle. I LOVE the scent. It screams “me”. 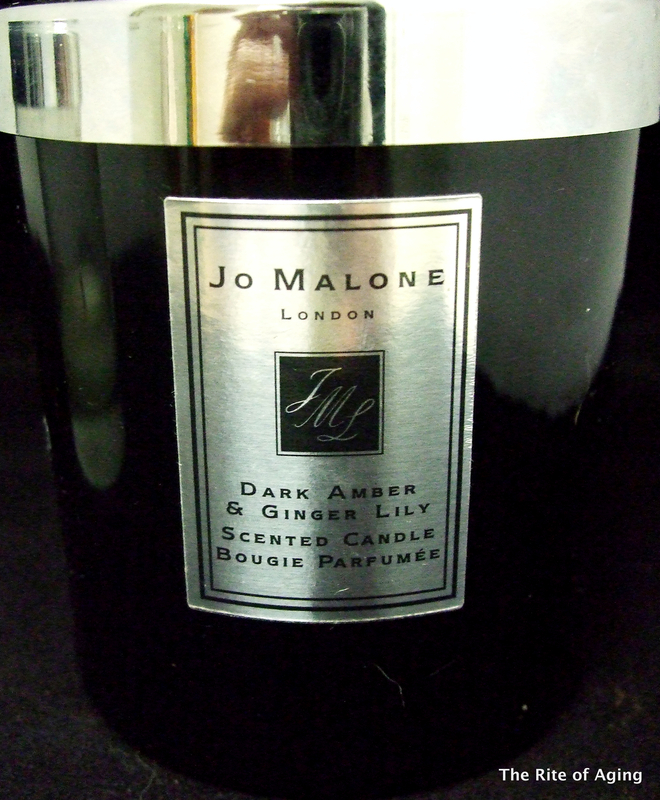 I might buy it as a splurge-y present to myself because honestly, and I agree when other people say this, Jo Malone London has some very interesting, unique scents that you just get hooked on. One of the other large candles I bought during Yankee Candle’s famous “Buy 2, Get 2 Free” sale last winter. I took a gamble on this one because I purchased online and had never smelled it in person. This was a huge gamble and I won! 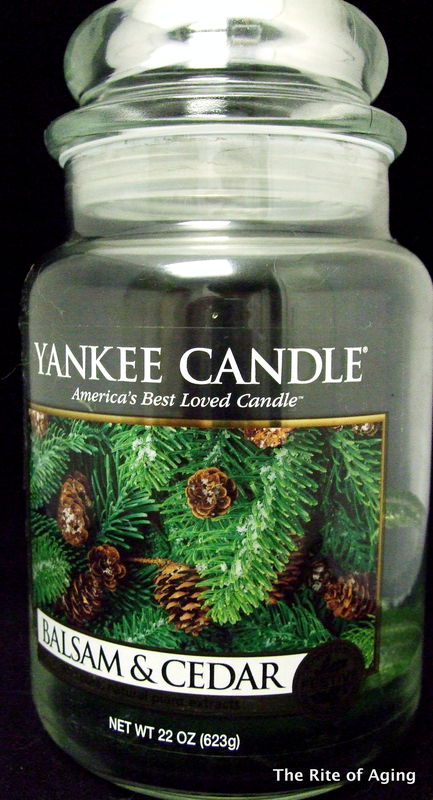 The description says the candle smells like “fresh forest scent”. It is spot on. It reminds me of when we used to buy live trees (before the monsters!) from the Christmas tree yards. (Don’t make fun! I am a city girl, those tree yards were the closest I got to the real forest!) It smells EXACTLY like that. Yankee Candle candles have a great burn time. They claim burn times of 110-150 hours. I do not know if this is true but the candle lasted me from November to April, if that is any indication. The scent lingers for at least a day after I burn the candle and wafts through the house. As with the Christmas Wreath (review linked here), the candle aerated quickly towards the end and I lost the fragrance. This candle lasts a good long while before this happens so I am not too distraught. I think this just one of the trade-offs. Will I re-purchase? Probably, but I will wait for the sale in the fall. This has been my go-to contact lens cleanser since I started wearing them. It is probably the most expensive of the contact solutions but it is by far the best. The solution stays fresh even when left in indirect sunlight. I use it twice daily to rinse my contacts and add new contact solution to the case. My contacts feel fresh for the entire two weeks, so much so if I do not mark down when I need to change them, I will continue way past expiration. I drink coffee, iced black or green tea most of the day. Without this toothpaste my teeth would be a lot more yellow than they are. I have very strong teeth, only one cavity up to date, but they are very sensitive to whitening ingredients. I cannot use mouthwashes and Colgate, Crest brands make my teeth hurt! Arm & Hammer is gentle on my mouth. However, if you are looking for diehard whitening effects, this is not for you. It is a gentle, everyday stain remover that works to remove newer stains. Well, that is it for my Miscellaneous empties for this month. I just realized, they are all candles and I am not to surprised! With four pets, I seem to burn (hah, see what I did there!) right through my candle stock!